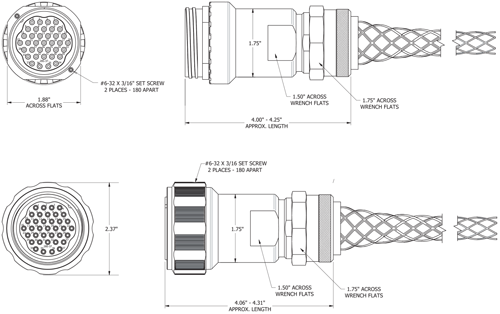 Clark’s new DT12 connectors are designed to be exceptionally rugged and weather resistant for both indoor and outdoor broadcast environments. 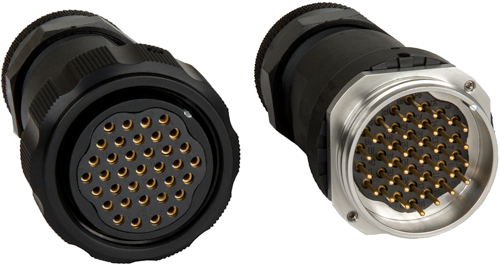 The new Clark DT12 connectors feature all-metal aluminum back shells that are virtually crush and corrosion proof and the male gender connector has a stainless steel mating thread coupling that is dent resistant. The electrical contacts are made from gold plated, screw-machined copper and are captivated in a scalloped neoprene insulator that is crack and rotation resistant. To prevent accidental back shell loosening, the back shells have reverse threads with set-screws. For additional strain relief the back nut can also accommodate wire-mesh cord grips.